They say that there is no better sound than the network when the basketball is falling. That is the same sound that we hear from Monday April 30 at 7 pm at the Coliseum General Rumiñahui, which prepares a sports event that will be felt throughout South America. 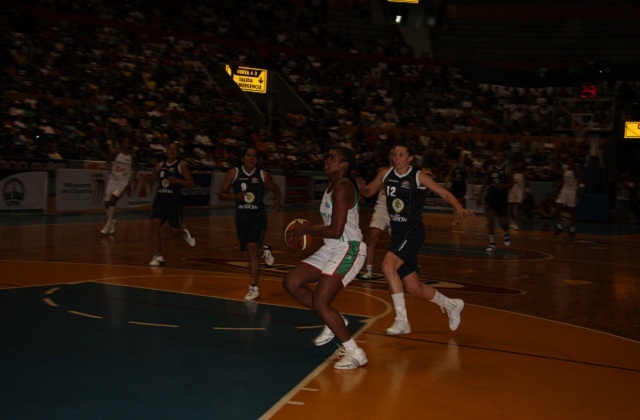 From Monday through Saturday, May 5, the silence that surrounds the huge sports arena with a capacity for 16,000 spectators, will break through the best basketball players in the region, who make up a symphony of emotions that seize the Coloso of La Vicentina, privileged spectator of the XVI South American Club Championship for women. The scene will be mark with the rebound of the ball, sweat falling on the floor, the accelerated throb of the heart, breathing, sighs ... and all the applause from the audience. Competition will be six hours daily, where the 'stars' of the region will show their talent. Tickets are on sale in all parts of the country in the Ecu-tickets. In addition to the basketball games, fans can vibrate with the shows that are designed for sports days, starting from the inaugural program, scheduled for Monday at 7:00. It should be noted that the game will start at 3:30. According with the President of the UTE Club, Patricio Pozo, event organizer, they prepared a presentation for family enjoyment. In the beginning, they will present the Jacchigua Ballet. Later, teams parade and after official speech by the authorities, is the Dance show. Finally, the first game will held in the Congress Meeting on Sunday at the Hotel Dann Carlton, from 4:00 p.m. Teams from Argentina, Brazil, Peru, Uruguay and Ecuador will be the stars of the tournament. In the lists were registered players who have been honored as the best of the season in the different national leagues in which they participate, so we are sure that during the next week we will have very competitive and high level games. The participanting teams are: Club Especializado de Alto Rendimiento UTE, champions of the Liga Ecuatoriana de Baloncesto 2011; Asociación Centro Deportivo de Ourinhos, defending champion of South America, Club Atlético Lanús; Asociación Deportiva Americana; Club Regatas Lima; and Club Malvin.